Nostalgia can hit you when you least expect it. 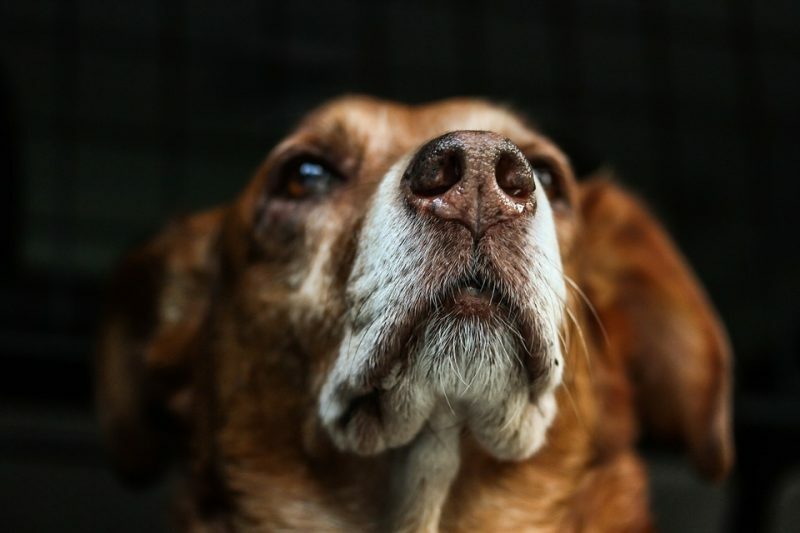 When it comes to pet loss it can be such a beautiful thing. 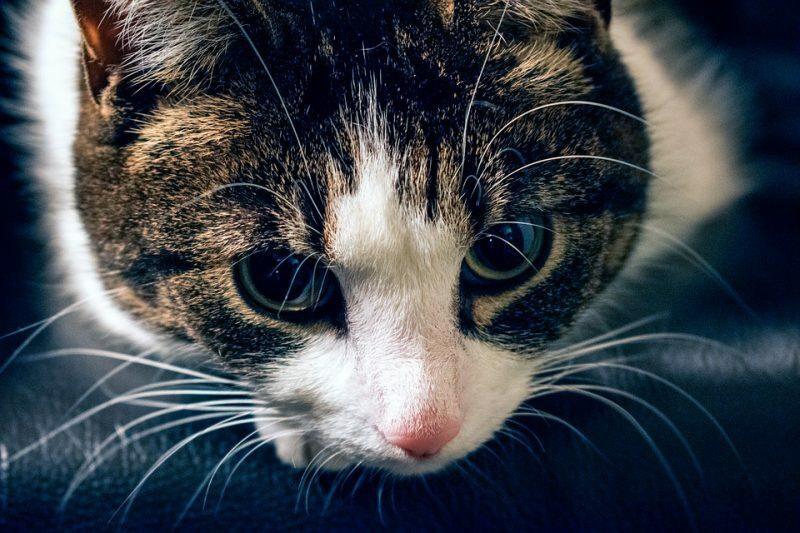 After pet loss thinking back on the time you’ve had with your cat or dog can be ‘bittersweet’! For some the pain of pet loss can never entirely disappear, but you can find comfort in thinking about the good times you spent together. From the moment you bring her home as a puppy, kitten or an adult rescue, the moments you shared together are something special. She becomes a major part of your life even an extension of you that other people might not understand. Pets aid us in so many ways mentally and physically, that we can’t even begin to thank them. To some, she is company and a companion where there was no one else. A friend that loved you unconditionally. I have heard it said that the difference between a human friend and a pet is that you allow friends into your social life and pets into your solitude. First there’s the ‘Honeymoon’ period when you first bring a pet home, for most people pets are there when people aren’t. They can almost do no wrong during this period and EVERY little thing they do is the cutest thing in the world. Training! it’s the terrible two’s of pets. You’re teaching them a range of things while running after them with puppy pads or repeatedly showing them where the litter box is. Or maybe you were just spending time bonding and getting use to each other, whatever they accompanied you through; we can all agree that patience and responsibility had become second nature to you. Even though toilet training can be difficult you have probably fallen for her and know that you will love her even more as you discover her little quirks that make up her personality. So the expense of having them in your life is completely justified all the way down to the poufy hair styles we give them and the little luxuries that we indulge… ok maybe big luxuries. As the years go by we start to realise that no matter what we do there will come a time when we have to say goodbye. It may be sudden and unexpected; or we may need to make the hardest decision for a pet owner and have our beloved put down or euthanized. At times like this it is not uncommon to never want to have another pet. How could we think of replacing a family member? (of course you can’t) Or how can I leave myself open to this kind of pain again? These feelings are perfectly natural. In our experience, gained over the last 35 or so years, there are some things that you can do to help you move through the grieving process to reach a point where the pain is less and it’s possible to look back at your time together with fondness. 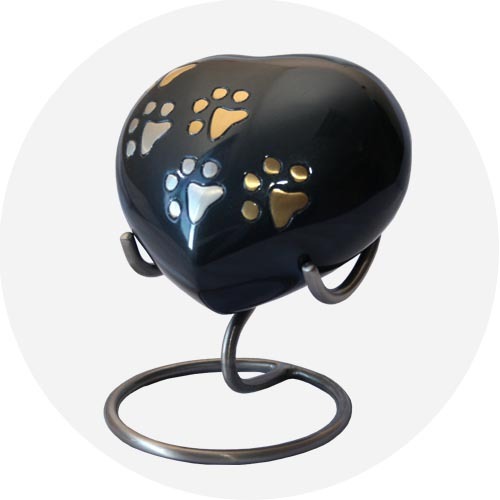 Memorialising your pet after death is a popular way of coping with pet loss. Whether it was a dog, cat, bird or hamster, any animal deserves a farewell. 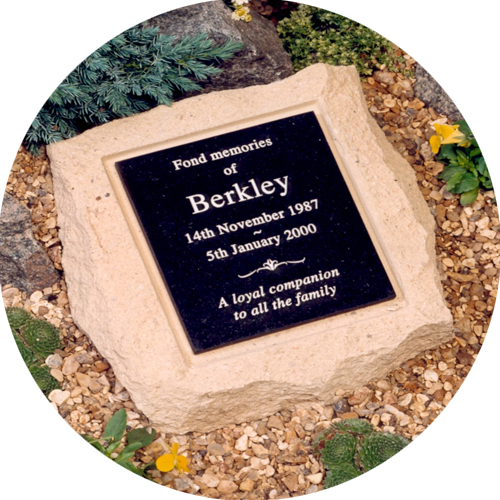 There are so many memorial markers or stones for the garden that you can choose from. 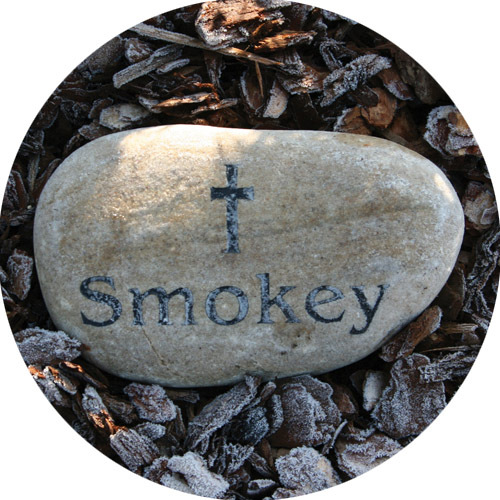 So if you have scattered your pet’s ashes along their favourite walk or you would like to mark their burial site you are sure to find a memorial that you like. 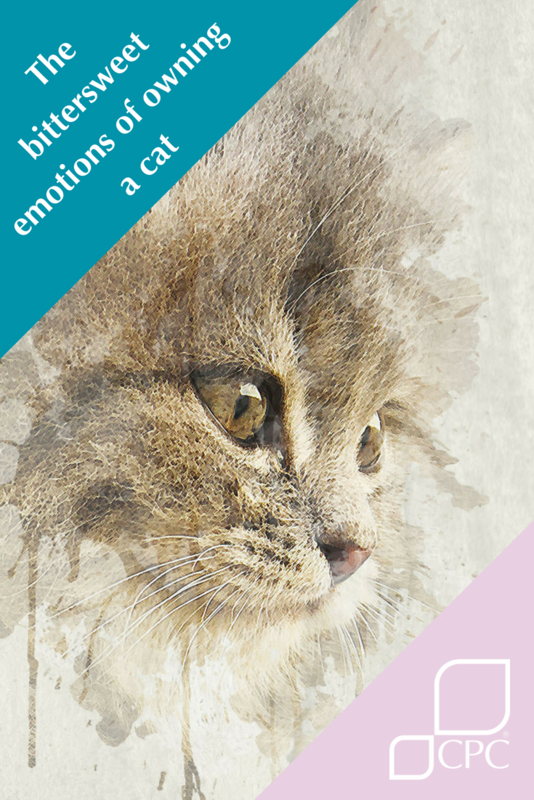 Here at CPC we offer an online tribute page where bereaved pet owners can post poems and final goodbyes. This helps to comfort them through there grieving process. There’s also our book of remembrance you can download our free page templates and create an entry for our book. Simply create the page and return it to us. We will add the page to our growing library of pet tributes. Other bereaved owners like to browse our books of remembrance; they tell us that they find comfort when they realise that they aren’t alone in feeling such loss. Writing a journal is also helpful. Putting pen to paper all the thought and feelings of what brought their time to an end. For some it may have been taking away far too soon or a long ailing illness. Cherish every moment you and your children have with your pet. Make their life the best you can because the material things don’t matter to them. All they need is your love.